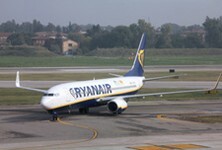 Ryanair, the low cost airline and brainchild of Michael O'Leary, has played a very significant part in creating the current property hotspots of France. Wherever Ryanair flies, property seekers will follow, encouraged to purchase holiday property or even to make a permanent move by the facility for cheap and easy travel. When you can fly out to enjoy your French property for weekends for only a few Euros return, why would you buy anywhere other than close to a Ryanair destination? Certainly, if your plans include renting out your property to holidaymakers, it makes absolute sense to be close to a low cost airline airport to attract potential clients. While Ryanair's low cost services have revolutionised the French property market in many ways for British and Irish buyers, it must be noted that what Ryanair can make, they can also break. There have been recent instances of sudden withdrawal from certain airports (notably Angoulême), or changes to the basing of the business (from France to Ireland), in order to escape French employment laws. These problems rumble on, with O'Leary threatening to close certain routes (in fact, back in 2003 O'Leary threatened to pull out of France altogether!) if his conditions are not met, creating uncertainty. However, Ryanair have maintained many popular routes between the UK, Ireland and France for many years now, and will almost certainly continue to do so. France is, as we all know, a pretty large country, and its different regions and departments offer a vast diversity of landscapes, seascapes, architectural styles, cultures and other attractions. Choosing the perfect destination for you is no fast task, even say you limit your choice to towns within easy reach of Ryanair airports. It is quite probably as good a way of beginning a countrywide property search as any, so take an armchair tour of what's available according to the fast, budget travel option! Not strictly speaking in France, but still handy for accessing the north-eastern areas of the country is the airport of Karlsruhe Baden, which lies just across the border into Germany. Other airports not in France but useful for accessing parts of the country are Cuneo and Turin in Italy, Santander, Girona and Barcelona in Spain and Brussels Charleroi in Belgium.